MiiSTS Stain Remover works on all water washable fabrics, including clothing, carpet, upholstery, and vinyl. 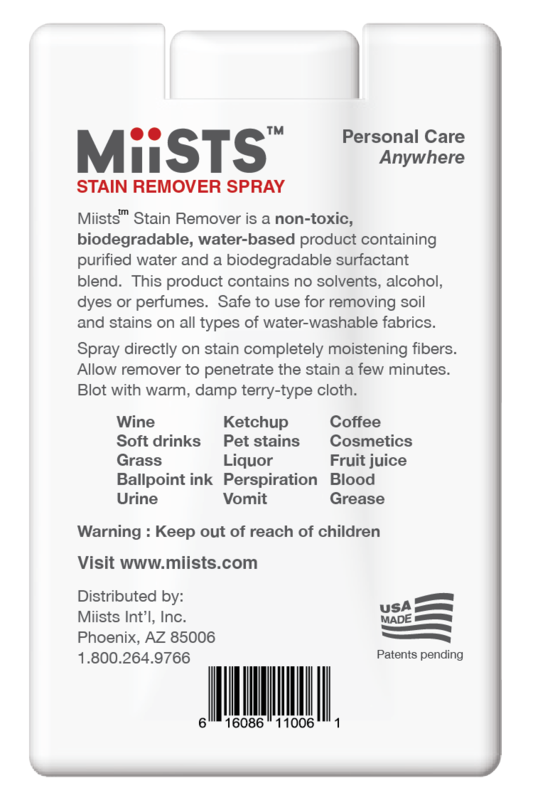 Try MiiSTS as a laundry stain remover and remove stains that other products cannot! 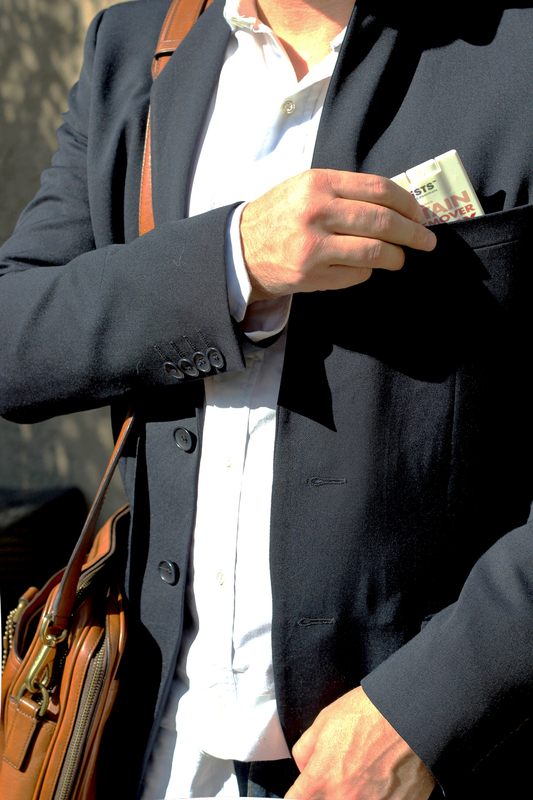 MiiSTS does not contain harsh chemicals, fumes, bleaching agents, enzymes, or anything that can harm most fabrics. 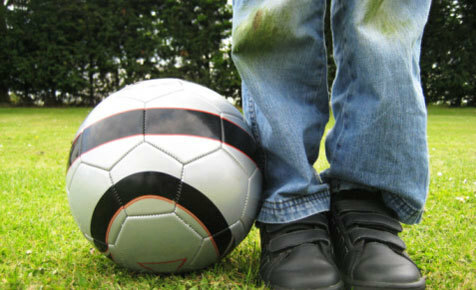 MiiSTS Stain Remover Spray is safe around kids and pets. 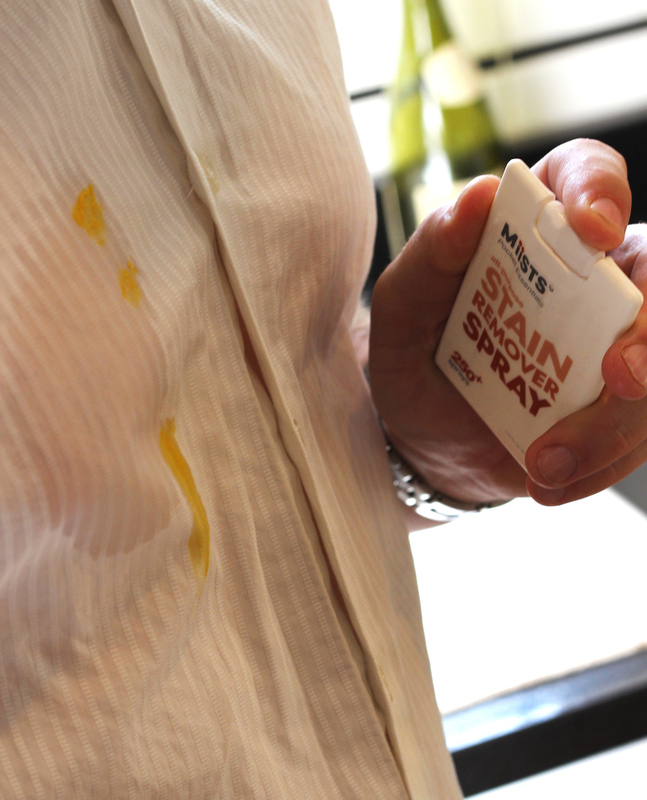 No other product is as versitile and easy to use as MiiSTS Stain Remover. MiiSTS product utilizes a formula that has received the Seal of Approval from the Carpet and Rug Institute. MiiSTS is a registered trademark of MiiSTS Int'l. LLC.